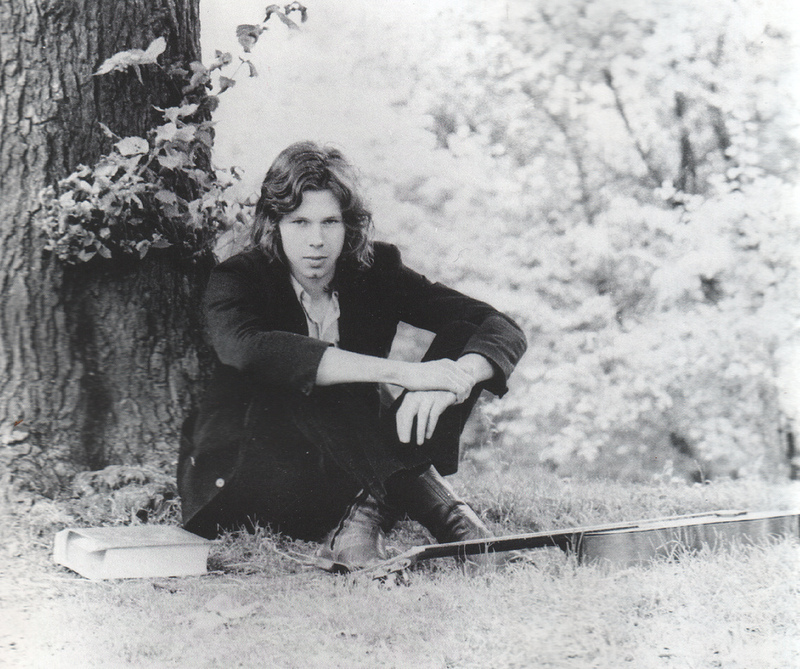 Nick Drake is at this point the most famous, the most listened-to, the most influential and the most widely beloved of all the British folk-rock acts of the 1960s and 1970s. Why Drake? Why not Richard Thompson, Sandy Denny, Martin Carthy, John Martyn or Bert Jansch? All were (or are) talented, versatile and charismatic performers and writers, all with a wider and more varied body of work than Drake. It would be crass and reductive to say, “Because Drake was good looking and died young, and didn’t get old, fat, bald, irrelevant or conservative.” This is undoubtedly part of his appeal, as it is of Hendrix’s, Cobain’s, Joplin’s or Morrison’s (OK, so he got fat, but he didn’t get old or bald). The doomed-romantic-hero thing is always powerful and attractive, and it can apply equally to musicians, athletes, actors, writers, political revolutionaries, tyrants, criminals, anyone – we can all think of someone whose glittering legacy is at least partly dependent on their early death. But it’s very far from the whole story. In the last twenty years, since the cult of Nick Drake really took off*, the hundreds of thousands of people who have become Nick Drake fans have done so because of the man’s idiosyncratic, beguiling music. And then there are the songs. River Man, Saturday Sun, Three Hours, Cello Song, Hazey Janes I and II, At the Chime of a City Clock, Northern Sky, Pink Moon, Place to Be, Things Behind the Sun, From the Morning. All these from just three albums. Pink Moon, for many reasons (some of them personal and sentimental), remains my favourite, and I understand why many feel Bryter Layter is the most rounded and satisfying. My relationship with FLL is more complicate – while its best songs are all classics, there are also some very twee moments, and Robert Kirby’s string arrangements (on Way to Blue and Fruit Tree) sound pretty callow next to the magisterial work of Harry Robinson on River Man. Nevertheless, when playing individual Nick Drake songs for the uninitiated, it’s often best to turn to Five Leaves Left for a song or two. Saturday Sun is a great choice precisely because it doesn’t feature Drake’s guitar playing – you can hear it and divorce the quality of the song from the quality of the guitar playing (difficult with some of Drake’s other work), gaining the clearest insight into exactly how good a writer he was. That said, along with its exquisite late-summer-turns-to-autumn melancholy, it does feature Danny Thompson on double bass and Tristan Fry on drums and vibes, so there’s plenty of chops on display if chops are your thing. *Launched by the use of Pink Moon in a Volkswagen ad of all things. **He’d do things such as tune his guitar CGCGCE, for example, play D, A and D on the bottom three strings and that voicing, with a 7th and a 9th in it, would be his standard D minor voicing. It’s that sort of harmonic ambiguity that attracts guitarists to alternate tunings, and Drake, for many, is the gateway drug. ***It has been said by some that the outside musicians were producer Joe Boyd’s idea, and that if Drake had been listened to by Boyd his records would have been much sparer. Quite how this accords with Drake’s willing collaboration with John Cale on Northern Sky, and his use of his friend Robert Kirby’s string arrangements all over Five Leaves Left, I’m not entirely sure. This entry was posted in Music and tagged 1960s, 1970s, acoustic guitar, alternate tunings, arrangement, At the Chime of a City Clock, bass players, bassists, Bert Jansch, British folk, British folk revival, British folk-rock, Cello Song, Danny Thompson, Dave Mattacks, Dave Pegg, Davy Graham, double bass, Drums, Fairport Convention, fingerpicking, fingerstyle guitar, Five Leaves Left, folk--jazz, From the Morning, Fruit Tree, Harry Robinson, Hazey Jane I, Hazey Jane II, Janis Joplin, jazz, Jim Morrison, Jimi Hendrix, Joe Boyd, John Cale, John Martyn, John Renbourn, Kurt Cobain, Martin Carthy, nick drake, Northern Sky, Pink Moon, Place to Be, Richard Thompson, River Man, Road, Robert Kirby, Rocky Dzidzornu, Sandy Denny, Saturday Sun, Things behind the Sun, Three Houses, Tristan Fry, vibraphone, Way to Blue on October 1, 2015 by rossjpalmer. This week we’re talking about a song written in New York City by a Canadian, about an event that took place in upstate New York that she didn’t attend, recorded in California, then covered by a man from England and turned into British folk rock’s biggest hit single and (I think) only UK number one single. The song is Woodstock, as recorded by Matthews Southern Comfort. Iain Matthews was Fairport Convention’s male lead singer during the band’s early years, alongside Judy Dyble and (later) Sandy Denny. 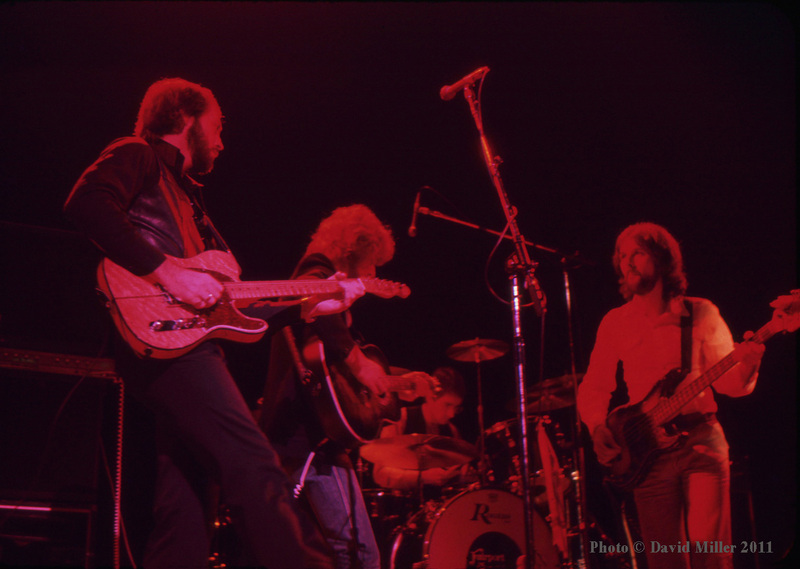 He left during 1969 as the band readied the material that would be on Liege & Lief, a record that is for most the band’s finest achievement and for which Matthews’s essentially pop-schooled voice was replaced by Richard Thompson’s rougher, more folk-influenced delivery. By Matthews’s account, the prime movers behind his ousting were Joe Boyd and Ashley Hutchings. Possibly to make amends for sacking him, most of Fairport appear on Matthews’s first record with his new band, Matthews Southern Comfort (called Matthews’ Southern Comfort – the record has an apostrophe; the band, at this stage, didn’t). The line-up, in fact, was stellar, including Thompson, Simon Nicol and Ashley Hutchings from Fairport, Gerry Conway (Fotheringay, later Fairport), Dolly Collins (sister of Shirley), Gordon Huntley (steel-playing session man) and Roger Coulam (of Blue Mink) on piano. Woodstock, the song, has been interpreted a bunch of different ways. Joni Mitchell’s original is spare and thoughtful, just her on electric piano. Crosby, Stills, Nash and Young, who unlike Joni and Matthews were actually at Woodstock, turned in a bombastic performance, in which the implicit dread of the lyric (but what if we can’t get back to the garden?) is entirely absent. Of Déjà Vu‘s many missteps and miscalculations, Stephen Stills’s misreading of Woodstock (caused, it seems, by an inability to discern subtext) was the most glaring. Matthews found a middle ground between CSNY’s and Mitchell’s two approaches. His slightly tremulous delivery acknowledges that a return to the garden may just be a dream, but the beautiful harmony singing always seems to suggest that the hope is still there. Rooted by its steady-bottomed rhythm section but carried upward by those gorgeous harmonies and Gordon Huntley’s pedal steel, Matthews Southern Comfort’s Woodstock seems to me to be the best possible recording of the song, a classic of countrified British folk-rock. This entry was posted in Music and tagged 1960s, 1970s, Ashley Hutchings, Blue Mink, CSNY, Déjà Vu, Dolly Collins, Fairport Convention, Gerry Conway, Gordon Huntley, Iain Matthews, Ian Matthews, Joe Boyd, Joni Mitchell, Judy Dyble, Ladies of the Canyon, Matthews Southern Comfort, New York, pedal steel, piano, Richard Thompson, Roger Coulam, Sandy Denny, Shirley Collins, Simon Nicol, Woodstock on September 24, 2015 by rossjpalmer. After she joined up with the thitherto rather wet Fairport Convention, Sandy Denny helped perfect a sound that blended traditional English and Scottish folk song, contemporary electric instrumentation and self-composed songs, an achievement that did for British music something similar to what The Band did for North American music. But as the other members of Fairport, and particularly bassist Ashley Hutchings, became more interested in updating the English folk canon, Denny grew more excited by the artistic self-expression afforded by honing her craft as singer-songwriter. She and Fairport parted ways. Hutchings would soon leave, too, to found Steeleye Span. He’d later move on again, to form the Albion Band with the folkiest of English folk singers, Shirley Collins. Joe Boyd, Fairport’s producer, wanted Denny to put out a solo record and perform, front and centre, under her own name. But she was in a relationship with an Australian guitarist and singer called Trevor Lucas and wanted to cast him as her bandleader and creative foil in a democratic group, despite the vast artistic gulf between them. The resulting group was Fotheringay. The rest of the band, including the magnificent American country guitarist Jerry Donahue, was stellar, but as a result of Denny’s patronage of Trevor Lucas, the band spent half of its time backing a singer and songwriter of no more than average ability, the likes of whom you could find any night of the week in a provincial folk club. That this was a waste of their time and talents is revealed whenever Denny steps back up to the microphone. When she gave them something to work with, they could be jaw-dropping. Fotheringay made one album before Denny did what Boyd had wanted to her all along and went properly solo. Partly this was a response to group tensions, partly due to Joe Boyd leaving England to take a job with Warner Brothers, but during the abandoned sessions for the group’s second album they cut Silver Threads & Golden Needles, an old country-music warhorse that just about every major female singer has recorded, and several of the male singers, too. While most have taken it in 4/4 at the vigorous tempo of Wanda Jackson’s version, Fotheringay slowed it down, put it in waltz time and emphasised the song’s loneliness and dignified vulnerability. If you were to call Sandy Denny the finest interpreter of British folk song who ever lived, I’d not argue. With this track, she stakes her claim as one of the finest interpreters of song full stop. She gives a completely authentic country performance without ever softening her southern English accent – Patsy Cline would have understood and recognised the emotions Denny expresses here. 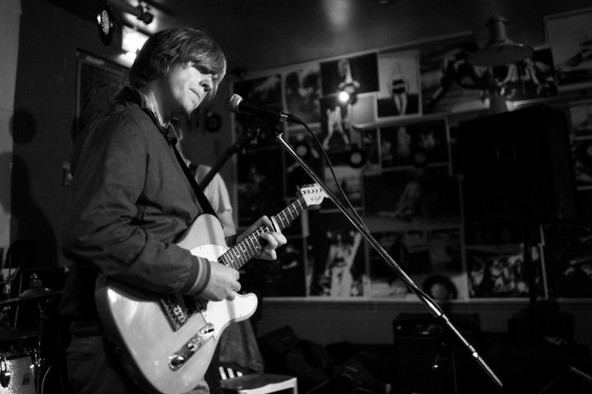 NYC-born Jerry Donahue, meanwhile, comes at this country-folk blend from the other direction. Most of what you hear in Donahue’s playing is country-music derived, and his extraordinary string-bending technique (Danny Gatton called him “the string-bending king of the planet”) allows him to imitate steel guitar phrases very closely, but also in his style is some of that modal, folky weirdness that characterises Richard Thompson’s playing. Donahue is, then, a seamless blend of US and UK, which was what made him so perfect for Fotheringay. His string-bending is rarely better showcased than on Silver Threads: it’s so human-sounding, plaintive little cries that come from a wound deep within the song. I don’t know whether he recorded those particular solos during the song’s original 1970 session, or more recently, when he produced and oversaw a completed album’s worth of stuff recording for that second album (2, which came out in 2008). If they were his original solos, they were amazingly mature and empathetic for a young man. Even if they were later additions, they are still about as lyrical as guitar playing can be. The track’s unsung hero is drummer Gerry Conway, formerly a member of Cat Stevens’s band (and later to join Fairport). Conway’s placement of the snare on the last beat of the bar rather than the fourth (he occasionally slips and plays a conventional 6/8 backbeat, hitting the snare on the four) is an inventive, masterly piece of timekeeping. He’s in similarly great form on Denny’s Late November, which ended up on her first solo record The North Star Grassman and the Ravens. This entry was posted in Music and tagged 1970s, 2, 4/4, acoustic guitar, Ashley Hutchings, Cat Stevens, country, country music, country-rock, Danny Gatton, drummers who can drum/singers who can sing, Fairport Convention, folk-rock, Fotheringay, Gerry Conway, guitar solo, Jerry Donahue, Joe Boyd, Late November, Patsy Cline, Richard Thompson, Sandy Denny, Shirley Collins, Steeleye Span, string bending, the Albion Band, The Band, The North Star Grassman and the Ravens, Trevor Lucas, waltz time, Wanda Jackson, Warner Brothers on September 18, 2015 by rossjpalmer. 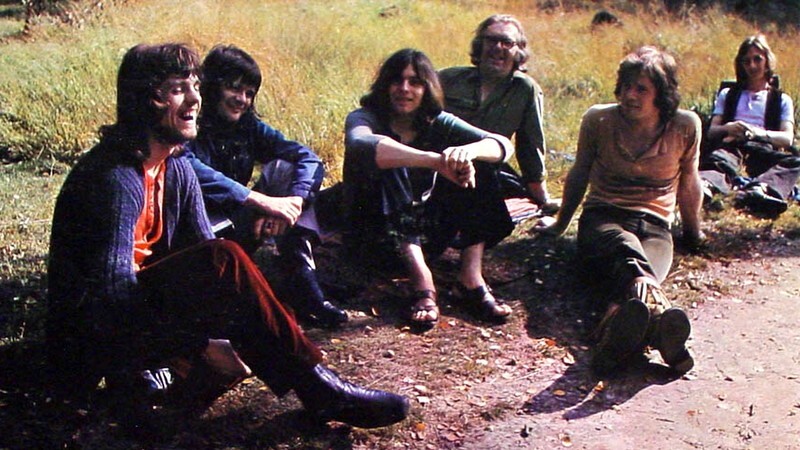 Fairport Convention’s history is famously one of constant reorganisation, replacement and redefinition, initially forced on them in the most terrible of circumstances when their first drummer, Martin Lamble, was killed in motorway van crash after a gig. But even in the glow of the success of Liege & Lief, Fairport Convention swiftly reconstituted itself again. Sandy Denny was more interested in furthering her development as a songwriter than interpreting old British ballads, and not without justification since she had written Who Knows Where the Time Goes before even joining Fairport. Meanwhile bassist Ashley Hutchings cared little for anyone’s original material, no matter how good it was; he had taken up more or less permanent residence in Cecil Sharp House, the headquarters of The English Folk Dance and Song Society. 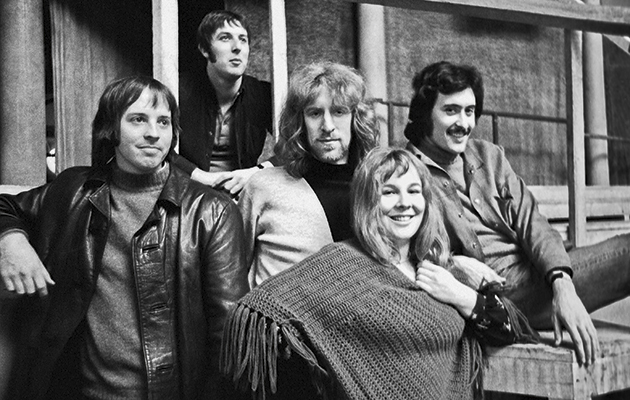 There wouldn’t have been room in any group for two members pulling in such different directions, but inevitably neither of them would stick with the band for very much longer; Hutchings began Steeleye Span as a vehicle for further experiments with the Child ballads, while Denny formed her own band, Fotheringay. Richard Thompson, Fairport’s baby-faced lead-guitar prodigy, did stay, but he would stick it out for only one more record before departing to pursue his own solo career. 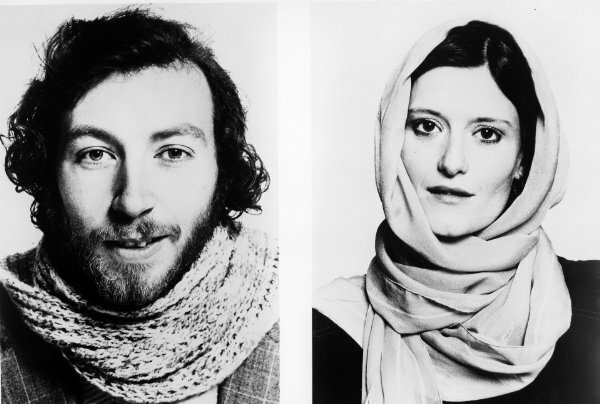 After just one coolly received album, though, Henry the Human Fly, he began making duo records with his new wife Linda. Linda Thompson is a wondrous singer who is somewhat overshadowed in the history of Brit-folk by Denny. And Sandy was, in any dispassionate assessment, in a class by herself, with what Clive James characterised as a “lavish delicacy of sound” and a stylistic and emotional versatility that is close to miraculous. But it would be extremely unfair to damn Linda Thompson for not quite living up to that. Few singers in any generation can. What she did share with Denny was versatility, in feeling and in genre: her voice is cosmopolitan in a way that can make the hewn-from-the-soil Norma Waterson and Shirley Collins sound like untutored bumpkins, and earthy enough to make the trilling, precise Jacqui McShee sound prissy and piercing. Steeleye Span’s Maddy Prior has some similar vocal qualities to Thompson, yet was often saddled with a lumpen band and the production talent of Mike Batt (since inflicted on us via Katie Melua), a choice of collaborator that rather suggests a shallow emotional response to music. Neither Thompson would have given the time of day to a hack like Batt. Richard Thompson may have done more than any other musician to weld British traditional song to electric rock and roll, but his guitar playing is in the final analysis more American than British; three parts Chuck Berry to one part Billy Pigg. Indeed it’s little remarked upon that few British guitarists can interpret country songs as well as Richard Thompson, which he manages to do without sounding callow or pretentious or fake, and frankly without hitting you over the head with the fact that he’s playing country either. On songs like the devastating The Poor Boy is Taken Away, he taps into the emotion of country music without duplicating its standard riffs, licks and clichés. Like his Fairport bandmate Sandy Denny, who cut the definitive version of Silver Threads and Golden Needles with Fotheringay, and like his former wife and musical partner Linda who sings it so beautifully, he’s able to inhabit and interpret American music without burlesquing it. This entry was posted in Music and tagged Ashley Hutchings, Billy Pigg, British folk ballads, Cecil Sharp House, Child ballads, Chuck Berry, Clive James, Fairport Convention, Fotheringay, Henry the Human Fly, Island Records, Jacqui McShee, Joe Boyd, John Wood, Katie Melua, lead guitar, Liege & Lief, Linda Thompson, Maddy Prior, Martin Lamble, Mike Batt, Norma Waterson, Richard and Linda Thompson, Richard Thompson, rock and roll, rock'n'roll, Sandy Denny, Shirley Collins, Sound Techniques, Steeleye Span, The English Folk Dance and Song Society, Who Knows Where the Time Goes on August 21, 2014 by rossjpalmer. I first became aware of Jerry Donahue as one of the Hellecasters, whom I just knew as three older guys pulling cheesy poses in a guitar-magazine advert for some cable they were endorsing. It would never have occurred to me as a sixteen-year-old that any of these old geezers could have made music worth listening to, let alone that the more studious-looking one with the beard and the glasses would end up being one of my very favourite guitarists, the player of one of my favourite guitar solos. Most of what you hear in Donahue’s guitar playing is country music, and his extraordinary string-bending technique (Danny Gatton called him ‘the string-bending king of the planet”!) allows him to imitate steel guitar phrases very closely, but also in his style is some of that modal, folky weirdness that characterises Richard Thompson’s playing. Donahue is, then, a seamless blend of US and UK, which was what made him so perfect for Fotheringay. Silver Threads and Golden Needles is an old country-music warhorse that just about every major female singer has recorded, and several of the male singers too. Yet all have taken it in 4/4 at the vigorous tempo of Wanda Jackson’s version. Sandy Denny, when looking to record it with Fotheringay, slowed it down, put it in waltz time, and emphasised the song’s loneliness and dignified vulnerability. These are the qualities to which Donahue’s two solos respond. His string-bending is rarely better showcased: it’s so human-sounding, plaintive little cries that come from a wound deep within the song. I don’t know whether he recorded those particular solos during the song’s original 1970 session, or more recently, when he produced and oversaw the ‘finished’ version of Fotheringay’s second album that came out in 2008. If they were his original solos, they were amazingly mature and empathetic for a young man. Even if they were later additions, they are still about as lyrical as guitar playing can be. If there were a syllabus for lead instrumentalists, to show them how to respond to the music they’e playing and avoid clichés, this should be on it. This entry was posted in Music and tagged 2, Albion Band, Danny Gatton, Fairport Convention, Fotheringay, Fotheringay 2, Gerry Conway, Jerry Donahue, Joe Boyd, John Wood, Liege & Lief, Richard Thompson, Sandy Denny, Silver Threads & Golden Needles, Steeleye Span, The Hellecasters, Trevor Lucas, Unhalfbricking, What We Did on Our Holidays on December 19, 2013 by rossjpalmer.